It's #GivingTuesday, so I thought I'd share about a few of the non-profits/ministries I support and why I've chosen them. I would rather support local economies and send money to an organization that buys products made in impoverished countries than ship toy/clothes/food to people in need from the U.S.
My grandparents run this ministry to the local homeless community. They do everything from large events with free food and music to just serving hot coffee and making friends with people. Sharing the gospel through performing arts, mainly dance through outreach performances by youth and adult companies, as well as Adventures in Narnia, a yearly holiday ballet portraying C.S. Lewis's The Lion, The Witch and The Wardrobe. I've been involved with HPAF with Narnia and now Hosanna Dance Company. Working to keep families together in Port-Au-Prince, Haiti. They provide jobs to parents, mainly making artisan goods and jewelry from recycled materials. I admire their commitment to understanding and helping the Haitian people support themselves and rebuild their economy with dignity. The founders are long-time friends of my family and I had the privilege of spending a few weeks teaching knitting at their artisan workplace in 2012. Located in Zambia, SOHIP's focus is on reversing poverty and creating healthy homes. They employ locals to manufacture concrete bio-sand filters. They provide these super simple and efficient water filtration systems to families and do community health, nutrition and sanitation training. They also do agriculture and business development and share the gospel in the communities their working in. They're run by the uncle of one of my best friends, and she was able to visit with her parents last summer and help pioneer a sewing program. 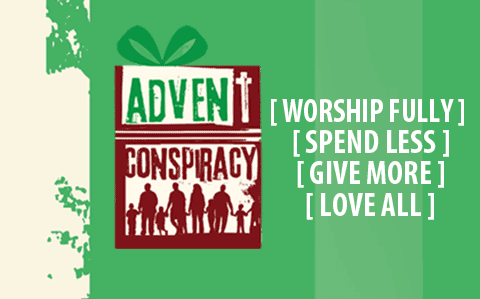 I also love the concept of Advent Conspiracy. Their idea is to put the focus of Christmas on Christ not Consumerism. They encourage people to focus on spending less (money on stuff), giving more (time, relationships), loving all, and worshiping fully. The past few years the church I was involved in raised thousands of dollars and divided them between local ministries and Advent Conspiracy's water charity. Do your research. Ask questions. Pray and listen. Support things that move you personally. Share locally and abroad. Give generously.